How Much Does a Boeing 777X Cost? - 24/7 Wall St.
How Much Does a Boeing 777X Cost? The most expensive aircraft on the Boeing Co. (NYSE: BA) price list is the 777-9, the larger of two versions of the new 777X family. The plane lists for $425.8 million. The smaller 777-8 lists for $394.9 million, only $8 million less than the 747-8 jumbo jet. The company has booked 326 orders for the 777 planes but does not break out the orders by model. The launch customer for the plane is Emirates, the flag carrier for the United Arab Emirates, and the first plane is scheduled to be delivered to the airline in mid-2020. The Middle Eastern carrier replaced Lufthansa as the 777X launch customer when the German carrier asked for more time to consider its options. Emirates has ordered nearly half the current backlog of the new plane: 35 777-8s and 115 777-9s. The total value of the order at list prices is $76 billion. The airline also has purchase rights for an additional 50 of the airplanes. 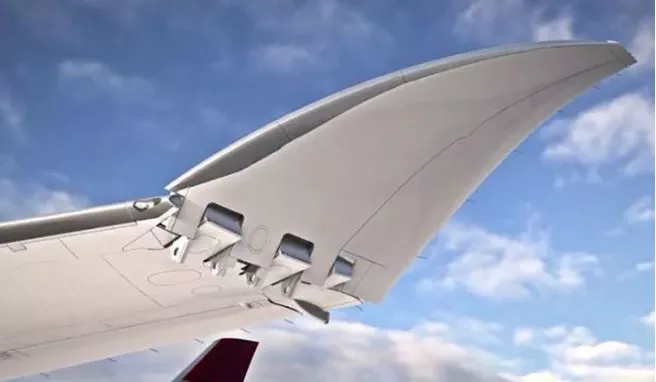 The 777X made the news last week when the U.S. Federal Aviation Administration certified the folding wingtips Boeing included in the plane’s design. The 777X carbon-fiber wing is longer than that on most aircraft, which adds to its ability to fly higher, faster and more economically. Source: courtesy of Boeing Co. The plane’s full wingspan, however, was too large to fit into the gate space at many airports. The folding wingtips reduce the 777X’s full wingspan from 235 feet to 212 feet. The enormous wingspan of the Airbus A380 forced airports that wanted to accommodate the superjumbo jet to build new or remodel existing gate space. That’s not cheap and there were not a lot of takers. The folding wingtips on the 777X, while unique on a passenger jet, are not that difficult an engineering problem. Military jets designed for carrier service have long used folding wings. The first 777X engine, a General Electric Co. (NYSE: GE) GE9X, made its first test flight in March on a 747 testbed aircraft. The first test flight of a 777X equipped with the GENX engines is still on track for next year.